Okay so it was half term and it wasn’t my idea really to go shopping at Cheshire Oaks. With my eldest son away my youngest son and husband both deciding they needed new trainers. It was freezing cold really busy and raining so wasn’t feeling it at all. I’m not really into shopping I only go when I’m on a mission when there is something I really need/want. Thankfully I knew I had lunch at Cafe Rouge to look forward to. Once seated in this newly refurbished lovely cosy restaurant I was glad I made it out of the house! The restaurant is situated on the left hand side just as you come in to Cheshire Oaks, near New Balance & Nike, which was perfect for a trainer search. 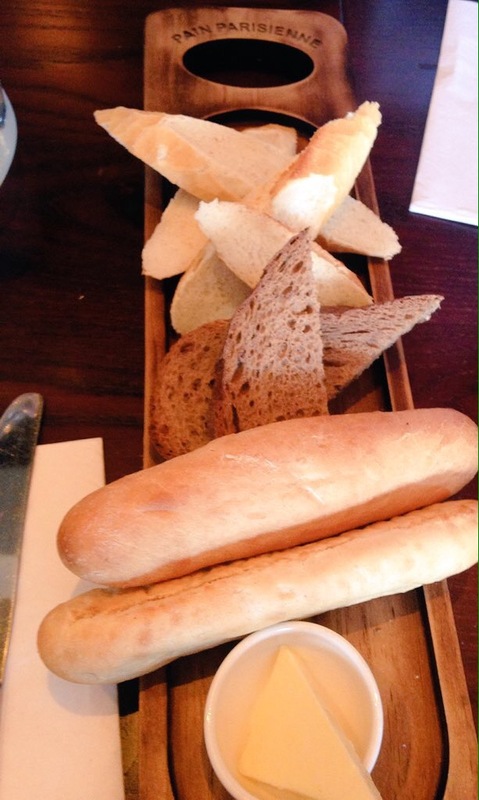 We started with a selection of breads (£5.00) that arrived on a beautiful wooden board and all the breads were fresh smelling just delicious. We shared a French Onion Soup (£5.50) to start, a total classic with, with deliciously goey croutons. Hearty and warming, so much so we had a little scrap over who would have the last mouthful! 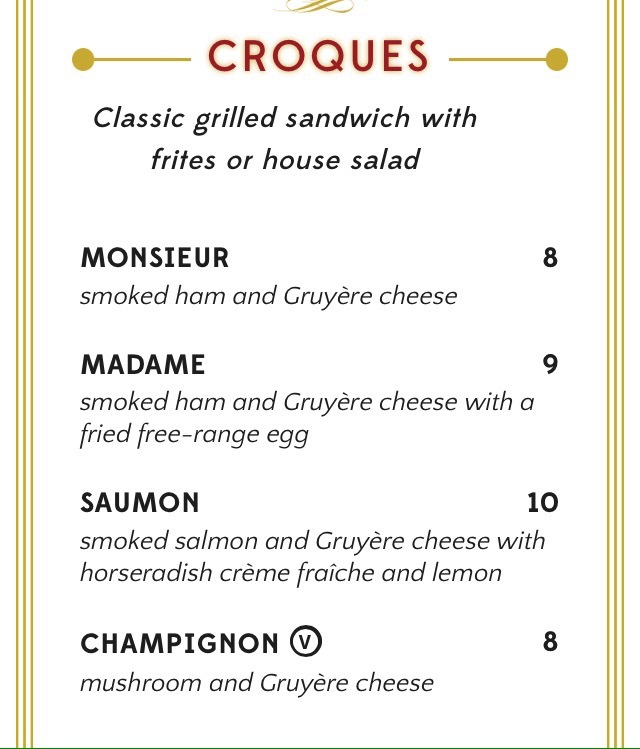 One of the best things about cafe rouge over the years has been their Croques, a classic grilled sandwich with fries or house salad. My Smoked Salmon Gruyere Cheese with Horseradish Crème Fraîche and Lemon (£10.00) was delicious. My son had the child version with Smoked Ham and Cheese (£6.95) which is just half a sandwich and some fries, a perfect amount. My husband has always loved Beef Bourguignon (£14.00) so it was no surprise to me he ordered this. Que 20 minutes or so of him barely speaking to me as he ploughed his way through the delicious rich meaty dish with accompanying mash & vege. We went to France this summer and ate lots macarons in Paris and my eight-year-old developed a real taste for them, so was delighted to see I lovely big display of raspberry ones under a glass bell jar. 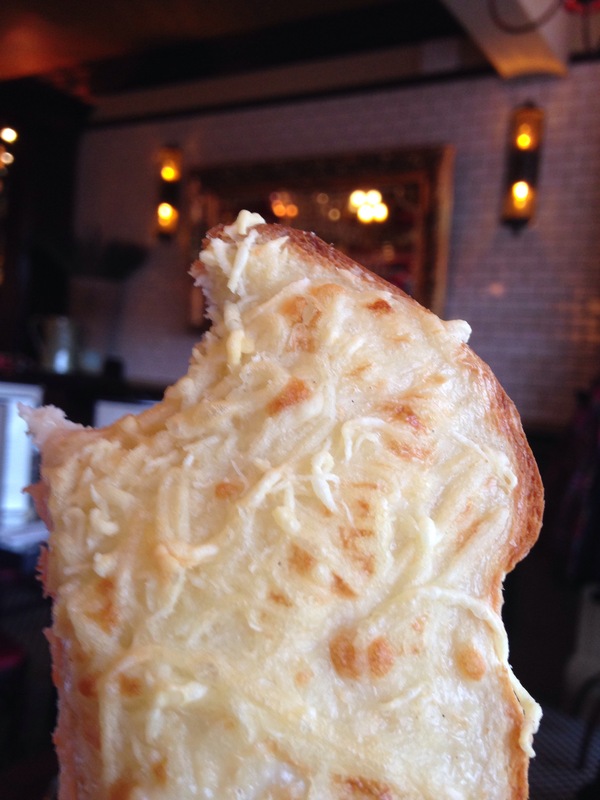 We all had a bite, just like Paris! My Citron Presse (£2.60) say gave me the taste of summer to come and I love the fact you can make it as tart or as sweet as you like with the additional sugar syrup, so French so lovely. 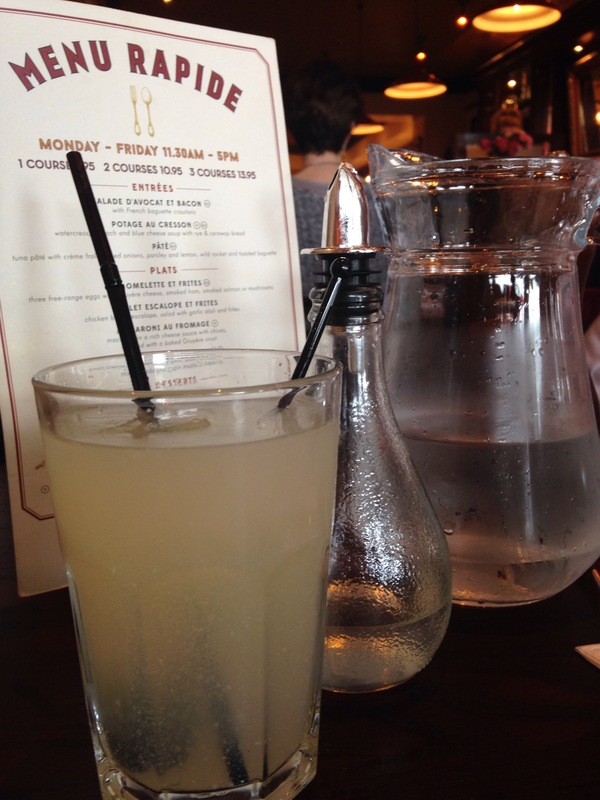 Cafe Rouge at Cheshire Oaks is a real desitanation to head to mid-shop for lunch, dinner or a quick bite; you can even just pop in for coffee and cake! Each one has a lovely sense of individual character and all the staff seemed to know exactly what they are doing, which made for fast and friendly service. This one has a lovely nod to fashion with photography and even shoes on display, which of course makes you want even more shoes! When we left I felt warm and satisfied after having such a lovely lunch in this calm warm French corner of Cheshire Oaks, not to mentioned even more fortified to head back to the shops in the wind and rain.